This blog entry describes the possible ways in which uses of algae or cyanobacteria for fuel or chemical production might be regulated in Australia. This entry is one of several posts that provide additional information in support of a poster I’m presenting at the 2013 Algae Biomass Summit on the regulations in various countries around the world that may be applicable to the use of naturally-occurring or genetically modified algae or cyanobacteria in fuel production. These include three general categories of regulation: biotechnology or biosafety regulations, aquaculture regulations, and renewable fuel standards or volume mandates. You can access the poster on my SlideShare site, and please refer back to my September 16 introductory post for links to posts on the regulatory situation in other countries. Although this discussion centers on algae and cyanobacteria, much of the discussion (other than the section on aquaculture) would be applicable to the use of other genetically modified microorganisms for production of fuel or chemicals. Australia has a Gene Technology Act of 2000, implemented by the Gene Technology Regulations of 2001, which would dictate whether the use of modified microorganisms for biofuel production would require a license. The Act and regulations established the Gene Technology Regulator (GTR) as the central office that administers the Act. The GTR plays the key role in assessing, regulating and licensing GMOs and enforcing license conditions. The Gene Technology Act defines gene technology as any technique for the modification of genes or other genetic material, although there is an exception for “homologous recombination” that appears quite narrow. The most important features of the Gene Technology Regulations are the clarification of procedures for licensing certain uses of GMOs (activities involving GMOs are referred to by the term “Dealings”). The regulations also provide for the establishment of “exempt dealings”, which are a category of dealings with GMOs that have been assessed over time as posing a very low risk. As listed on the GTR website, exempt dealings primarily include contained research activities involving very well understood organisms, and although many industrially-useful host organisms appear on this list, the list does not include any algae or cyanobacteria. Of the dealings requiring a license, a distinction is made between those involving a deliberate release of a GMO into the environment, and those that do not, with the latter being referred to as a DNIR (“dealing not involving release”). Applicants for either type of license are required to submit certain information to the GTR, which is then used to prepare a risk assessment and risk management plan, which forms the basis for the GTR’s decision. One interesting feature of the Australian Gene Technology Regulations is that, in order to qualify to have confidential information protected in any submitted application, companies must submit a separate application to the GTR to obtain a “declaration that specified information is confidential commercial information”. This application would be submitted and considered by the GTR in parallel with the license application that contains the confidential information, and the application must also specify exactly what information in the license application is claimed as confidential. The needed form can be obtained from the GTR website, but the website does not appear to specify the timeframes for GTR decisions on claims of confidentiality. “DNIR” Licenses would be required for certain contained uses of GMOs under Australian law. Although most DNIR licenses granted to date cover laboratory research involving potentially pathogenic organisms, the industrial use of a modified microorganism for fuel or chemical production would potentially require a license. However, many common industrial production organisms such as E. coli, S. cerevisiae and others are included on the “exempt list”, so that their use may not require a DNIR license. However, use of modified algae or cyanobacteria for industrial purposes would not be covered by an exemption and would likely require a DNIR license from the GTR. The GTR website has links to the application forms, and the form for application for a DNIR license can be downloaded here. The application form is quite detailed, although the scientific information it requires is similar to the information that would be submitted to the U.S. EPA in a Microbial Commercial Activity Notice, which were summarized in one of my 2010 posts. Procedures for review of DNIR license applications are specified on the GTR website. All license applications must first be reviewed and approved by an Institutional Biosafety Committee (IBC). The law and regulations specify requirements for such committees, and it appears that to meet such requirements, applicants would need to use an IBC in Australia. Once submitted the GTR has 90 working days to review the application, and its review may include consultation with outside experts and/or the Gene Technology Technical Advisory Committee. A formal Risk Assessment and Risk Management Plan (RARMP) may be needed, , and public involvement may be sought (although these do not seem to be required for DNIR applications as would be for proposals for deliberate releases). Although there do not seem to be any precedents for DNIR licenses granted for industrial manufacturing, it is likely that the process would be fairly straightforward, provided the applicant consulted with the GTR prior to preparing and submitting its application. The possible use of modified algae or cyanobacteria in an open-pond or similar type of outdoor reactor would likely require a “DIR” (Dealing Involving Release”) license from the GTR. Procedures for review of DIR license applications are, in many respects, similar to that described above for DNIR licenses, and are specified on the GTR website. One major difference is that the GTR is afforded a greater amount of time to review DIR applications – up to 255 working days (essentially one full calendar year) for most applications or 150-170 working days for limited and controlled release applications. “Limited and controlled releases” is a category created by Article 50A of the Gene Technology Act, that is meant to cover outdoor activities with GMOs for research purposes, in which the applicant intends to implement controls to restrict the dissemination or persistence of the GMO and its genetic material in the environment and to impose limits on the proposed release of the GMO in the activity (“controls” and “limits” are both defined in the Act). The category primarily covers research field tests of agricultural GMOs, and most of the “Limited and Controlled” licenses that have been issued to date have been for field tests of transgenic plants. It appears likely that this category of license would be available for any proposed use of a modified algae in a pilot plant and possibly also in larger demonstration-scale plants. Regardless of whether the DIR application qualifies as a “limited and controlled” application, it would undergo a rigorous review by the GTR, through what the GTR website calls “a comprehensive, science-based, case-by-case analysis process” as described in Sections 48 – 67 of the Gene Technology Act. The Act also establishes a clear process that the GTR must follow in preparing a the RARMP risk assessment document (which is required for DIR applications) and in making a decision about whether or not to issue a license. In addition, the GTR will notify and solicit opinions about the proposal from a broad range of stakeholders, including the public, state, territorial and local governments, other national agencies including the Ministry of the Environment, and the Gene Technology Technical Advisory Committee. The GTR appears to have little or no experience with license applications for any industrial application resembling an open-pond algae reactor, and so prior consultation with the GTR would be very important. It would also make sense to make use of the “limited and controlled” license process by beginning with an application for a smaller-scale (e.g. pilot-scale) reactor, so that the GTR could assess the potential environmental impact of the technology in a stepwise manner, and so the data and experience from small-scale use can be used in support of larger-scale activities. The following is a brief summary of aquaculture regulations in Australia and how they may apply to industrial uses of algae or cyanobacteria. This is necessarily a very brief overview, meant to convey general guidance as to what applicants might expect in the country. More detailed information is available at the websites linked below, particularly including the very useful Fact Sheets maintained for individual countries by the U.N. Food and Agriculture Organization (FAO), which can all be accessed at http://www.fao.org/fishery/nalo/search/en. Under the Australian Constitution, responsibility for regulation of aquatic resources is shared by the central Australian Government and the individual state and territory governments. Specifically, each state or territory has primary responsibility for management of land and waters within its their boundaries as well as management of its inland and coastal waters out to the three nautical mile limit. The Australian Government has the responsibility for management of marine waters between the three and two hundred nautical mile limits. However, as summarized in the FAO page for Australia and a 2004 report commissioned by the government, there is no national legislation specific for fisheries or aquaculture, although there may be applicable provisions of general national environmental laws. So the most relevant legislation and regulations will lie with individual state or territorial governments. As these two references report, all of these regional governments have laws that cover commercial fisheries or aquaculture. However, many of these laws either do not define “aquaculture” or define it more narrowly to apply only to fisheries, and so many of these laws would arguably not apply to industrial uses of algae. However, in South Australia, which is reported to be the state with the largest aquaculture industry, the applicable definition is broad enough to encompass algae. In the South Australia Aquaculture Act (2001, as amended in 2003 and 2005), aquaculture is defined to mean “farming of aquatic organisms for the purposes of trade or business or research, but does not include an activity declared by regulation not to be aquaculture.” Note that “aquatic organism” is defined to mean “an aquatic organism of any species, and includes the reproductive products and body parts of an aquatic organism”. Also, the term “farming of aquatic organisms” means “an organized rearing process involving propagation or regular stocking or feeding of the organisms or protection of the organisms from predators or other similar intervention in the organisms’ natural life cycles”. In the state of South Australia, aquaculture activities must be licensed by the state government. Licenses are only granted if the area to be used for aquaculture is subject to a lease, which may or may not be controlled by the entity applying for the license. According to transportpolicy.net, fuel quality in Australia is regulated by the Department of Sustainability, Environment, Water, Population and Communities, under the Fuel Quality Standards Act (2000) and the Fuel Quality Standards Regulations (2001). This agency has set both environmental standards and operability standards for fuels, with the standards for diesel and gasoline conforming with international standards such as those of the ASTM. There is also a biodiesel standard that is derived from international standards. Fuel producers and sellers are required to document that their fuels are in compliance with standards, and although the agency’s website calls this “industry self-regulation”, a company’s documentation of compliance are subject to investigation by regulators. Australia does not appear to have a national ethanol mandate (i.e. there are no minimum ethanol levels) and ethanol content in gasoline is limited to 10%, but there are applicable laws in certain Australian states. The state of New South Wales has a 4% blending mandate, although at one point it was contemplated that this would be raised to 6%. The state of Queensland was to have adopted a 5% mandate, scheduled to take effect in 2010 or 2011, but this has been put on hold due to interest group opposition. Similarly, although there is no national biodiesel mandate, the state of New South Wales maintains a B2 mandate. This blog entry describes the possible ways in which uses of algae or cyanobacteria for fuel or chemical production might be regulated in China. This entry is one of several posts that provide additional information in support of a poster I’m presenting at the 2013 Algae Biomass Summit on the regulations in various countries around the world that may be applicable to the use of naturally-occurring or genetically modified algae or cyanobacteria in fuel production. These include three general categories of regulation: biotechnology or biosafety regulations, aquaculture regulations, and renewable fuel standards or volume mandates. You can access the poster on my SlideShare site, and please refer back to my September 16 introductory post for links to posts on the regulatory situation in other countries. Although this discussion centers on algae and cyanobacteria, much of the discussion (other than the section on aquaculture) would be applicable to the use of other genetically modified microorganisms for production of fuel or chemicals. China is a signatory to the Cartagena Protocol, and has implemented a range of biotechnology laws and regulations, with most coming since 2001. Most if not all of these are directed at agricultural biotechnology, in particular to the importation and use of transgenic plants and other agricultural products destined for release into the environment. Although written with a focus on agricultural biotechnology, some of the provisions of the governing law and its regulations potentially cover contained industrial uses, so the following discussion will highlight relevant language potentially applicable both to contained uses and open-environment uses of algae or cyanobacteria in fuel or chemical manufacture. In particular, initial law and regulations were enacted in 1993 and 1996, respectively, but these provisions were repealed or overruled by new regulations adopted in 2001 and 2002. What is confusing is that the latter documents seem to quite explicitly limit their definitions and applicability to organisms “for use in agricultural production or processing”, and are written with the cycle of agricultural field testing in mind. To an observer outside of China and unfamiliar with its legal system, this begs the question of what law or regulation would cover the use of a modified algae or cyanobacteria, or other microorganism intended for use in an industrial setting, with no application to agriculture. The following discussion will focus on the terms found in the original rules from the 1990s, which perhaps have been superseded by the 2001/2002 rules. According to Huang and Yang (2011), China’s first biosafety regulation, “Measures for Safety Administration of Genetic Engineering,” was issued by the Ministry of Science and Technology (MOST) in 1993. This regulation consisted of general principles, safety categories, risk evaluation, application and approval, safety control measures, and legal responsibilities. It has been implemented by a series of regulations starting in 1996, mostly all of which pertain to agricultural GMOs, but the following excerpts of the original 1993 law seem to apply to “contained uses”. Safety class I: genetic engineering work of this class has no threat to human health and ecological environment. 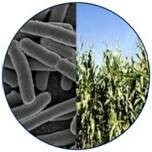 Safety class II: genetic engineering work of this class has low‑level risk to human health and ecological environment. Safety class III: genetic engineering work of this class has intermediate-level risk to human health and ecological environment. Safety class IV: genetic engineering work of this class has high‑level risk to human health and ecological environment. The 1993 law has general provisions in two of its chapters which relate either to (contained) industrial uses or to open-environment uses of GMOs. 3. The “Implementation Regulation” is applicable to agricultural organisms whose genome constitution has been changed by using genetic engineering technologies. The scope of agricultural organism includes plants and animals related to agricultural production, plant-related microorganisms, veterinary microorganisms, aquatic animals and plants. The applicability of this definition to industrial microorganisms like E. coli or yeast may be ambiguous, but the inclusion of “aquatic animals and plants” may mean that algae or marine cyanobacteria might be covered as well. Finally, Appendix V of the 1996 regulations provides principles for safety assessments of “Genetic Engineered Organism and Its Products Acquired from Aquatic Animal and Plant,” although the regulations do not specify what types of organisms would be considered “aquatic”. It is hard to know if, under these initial rules, the jurisdiction of the Agriculture Ministry would extend to non-agricultural industrial uses of microorganisms. The Biosafety Clearing-House web page for China indicates that the Ministry of Environmental Protection and the Ministry of Agriculture are the competent national authorities for implementation of the Cartagena Protocol. The entry for the Environment ministry indicates that its jurisdiction includes “bacteria”, but it is not clear what exactly this ministry’s role may be in such oversight, since most of the regulatory documents available on this site and elsewhere pertain to agricultural activities under the purview of the Ministry of Agriculture. In fact, the 2001/2002 rules make it even more explicit that the Agriculture Ministry has primary responsibility over agricultural GMOs. Although it seems unclear whether GMOs intended for contained manufacturing would be covered under the current regulations, it does seem clear that import of a GMO into China would require government approval. The relevant agency is the General Administration of Quality Supervision, Inspection and Quarantine (AQSIQ), and applicants proposing to import a GMO into China must apply in advance to this agency and provide information about the organism as required on the application form. Applicants wishing to use a GMO in manufacturing in China should therefore make early contact with AQSIQ regarding importation requirements, and also to consult with both the Ministries of Agriculture and Environment to understand which agency would have authority over the proposed use, whether a permit application would be needed, and if so what the applicable requirements would be. It is possible that some of the required approvals may take several months, if not 1-2 years in some cases, so early consultation with these agencies, through a Chinese corporate partner or attorney, would be recommended. Although not explicit, it would be prudent to assume that any proposed open-environment use of a modified algae or cyanobacteria would need to go through the same regulatory procedures as for agricultural microorganisms or plants. These are largely described in the 2002 document “Implementation Regulations on Safety Assessment of Agricultural Genetically Modified Organisms”. These regulations require institutions to conduct appropriate safety assessments for submission to an Office of Biosafety Administration (OBA) within the Agriculture Ministry. The regulations also assume that projects will proceed in the stepwise field testing method that is typical for agricultural product development, and approvals would be needed at each successively-larger field use. The Implementation Regulations include a series of detailed appendices describing the necessary components of risk assessments for the different uses potentially covered under the rules. This is a very, very brief summary of the 67-page 2002 document. Suffice it to say that it is likely that open-pond uses of modified algae would be subject to the regulatory procedures set up in China for review of agricultural field tests and commercialization. The following is a brief summary of aquaculture regulations in China and how they may apply to industrial uses of algae or cyanobacteria. This is necessarily a very brief overview, meant to convey general guidance as to what applicants might expect in the country. More detailed information is available at the websites linked below, particularly including the very useful Fact Sheets maintained for individual countries by the U.N. Food and Agriculture Organization (FAO), which can all be accessed at http://www.fao.org/fishery/nalo/search/en. The applicable law in China is the Fisheries Law (1986, as amended in 2000), whose goal is to enhance the production, increase, development and reasonable utilization of the nation’s fishery resources. It requires the adoption of policies to promote the simultaneous development of aquaculture, fishing and processing, with special emphasis on aquaculture. The Law is implemented by the Regulation for the Implementation of the Fisheries Law (1987). Neither the law nor the regulations define “aquaculture”, so their applicability to algae or marine cyanobacteria is not clear. Chapter III, Articles 10-13, of the regulations cover aquaculture, and require “state and collectively-owned units engaged in aquaculture using state-owned water surfaces and tidal flats [to] apply to the people’s governments at or above the county level for licenses”. The regulations also require the protection of “natural spawning, breeding or feeding grounds of fish, shrimp, crab, shellfish and algae” and prohibit their use as aquaculture grounds. Due to uncertainty over the applicability of these regulations to uses of algae or cyanobacteria, early consultation with local partners or attorneys, or with the applicable government agency, would be recommended. According to transportpolicy.net, fuel quality standards in China are issued by the Standardization Administration of China (SAC) under the General Administration of Quality Supervision, Inspection and Quarantine (AQSIQ). There are nationwide standards for gasoline and diesel that generally follow European precedent. There appear to be obligations for fuel producers and sellers to conduct testing to ensure that their fuels comply with the standards. China does not have an ethanol mandate or a national biodiesel mandate, but reportedly there are ten provinces having an E10 mandate for ethanol. This blog entry describes the possible ways in which uses of algae or cyanobacteria for fuel or chemical production might be regulated in Japan. This entry is one of several posts that provide additional information in support of a poster I’m presenting at the 2013 Algae Biomass Summit on the regulations in various countries around the world that may be applicable to the use of naturally-occurring or genetically modified algae or cyanobacteria in fuel production. These include three general categories of regulation: biotechnology or biosafety regulations, aquaculture regulations, and renewable fuel standards or volume mandates. You can access the poster on my SlideShare site, and please refer back to my September 16 introductory post for links to posts on the regulatory situation in other countries. Although this discussion centers on algae and cyanobacteria, much of the discussion (other than the section on aquaculture) would be applicable to the use of other genetically modified microorganisms for production of fuel or chemicals. 5. In this Law, “Type 1 Use” shall mean use not subject to taking the measures provided for in the following paragraph. 6. In this Law, “Type 2 Use” shall mean use undertaken with the intention of preventing the dispersal of living modified organisms into the air, water or soil outside facilities, equipment or other structures (hereinafter “Facilities”) in accordance with measures specifying this fact or other measures stipulated in the ordinance of the competent ministries. Therefore, any proposed use of modified algae or cyanobacteria in contained manufacturing would likely be considered as a Type 2 Use, while open-pond use would be considered as a Type 1 Use. The regulatory requirements for approvals for these two categories of use have been set forth in a series of other regulatory documents, as described below. The provisions governing Type 2 (Contained) Uses are covered in Chapter 2, Section 2 (Articles 12-15) of Law No. 97. These articles contain general provisions specifying that appropriate containment procedures must be put in place, and specifying procedures to be implemented in the event of an accidental release of an organism. To implement Law 97, the government adopted “Regulations related to the Enforcement of the Law concerning the Conservation and Sustainable Use of Biological Diversity through Regulations on the Use of Living Modified Organisms”. Article 40(3) of these Regulations specify which “competent ministers” have responsibility for Type 2 Uses, either for R&D or commercial purposes. Jurisdiction for R&D is more clear: under subparagraph (i) of this Article, either the Minister of Education, Science and Technology or the Minister of the Environment would have jurisdiction over Type 2 R&D Uses. Subparagraph (ii) of this Article covers activities other than R&D, and specifies that the competent minister depends on who “has jurisdiction over the undertakings performed by persons who make of the Type 2 Use, along with the Minister of the Environment”. Presumably this means that the Minister with jurisdiction would be the Minister ordinarily responsible for the type of commercial activity to which biotechnology is to be applied, with additional responsibility assigned to the Minister of the Environment. As discussed below, it is possible that uses of modified marine microorganisms (algae or cyanobacteria) would fall under the jurisdiction of the Minister of Agriculture, Forestry and Fisheries (MAFF). Japanese regulatory law is structured via a series of hierarchical regulations, such that the procedures applicable to commercial Type 2 Uses are further governed by another document, “The Ministerial Ordinance Providing Containment Measures to Be Taken in the Industrial Use of Type 2 Use of Living Modified Organisms” (there is also an equivalent document for Type 2 R&D Uses). The “Ministerial Ordinance” goes into more specific detail about appropriate containment provisions for microorganisms, plants and animals. For microorganisms, the procedures required for the lowest risk category generally correspond to Good Industrial Large Scale Practice (GILSP). The Ministerial Ordinance also includes the application form needed to be submitted to the competent minister. This is “Form 1”, which asks for information about the LMO and its properties and the measures to be adopted to ensure containment. These data provisions appear to be equivalent to those in place in other countries around the world. MAFF issued a regulation in 2000 entitled “Guidelines for Application of Recombinant DNA Organisms in Agriculture, Forestry, Fisheries, The Food Industry and Other Related Industries”. Under this regulation, microalgae are considered to be microorganisms, and the provisions for “production processes using rDNA microorganisms” (i.e. contained uses) are similar to those described above, in that the applicant is responsible for assigning a risk category to the organism and adopting appropriate procedures for the organism’s use. Since these regulations preceded adoption of Law No. 97 in 2003, it is not clear to what extent they are still applicable. It is not clear whether there have been any Type 2 Use applications in Japan for commercial activities outside of the pharmaceutical field. While the applicable procedures and data requirements appear straightforward, given the intricacies of the Japanese legal and regulatory system, it would naturally be advisable for foreign companies to work with a Japanese partner and/or attorney, and to hold early discussions with the applicable regulatory agencies in advance of any submission. The provisions governing Type 1 (Non-Contained) Uses are covered in Chapter 2, Section 1 (Articles 4-11) of Law No. 97. These articles contain general provisions pertaining to the procedures to follow to apply for approval for a Type 1 Use and the types of information that needs to be included in any such application. In addition, Article 4(2) of the Law requires that all applicants for Type 1 Uses must “assess the [potential] adverse effect on biological diversity caused by the Type 1 Use,” by completing and submitting to the applicable government ministry a “Biological Diversity Risk Assessment Report”. The Law also provides for the possible consultation with appropriate outside experts. Otherwise, the provisions of the Law relating to the requirements for approvals of Type 1 Uses are quite general, and as is the case with the Type 2 regulations, the more specific provisions are spelled out in the additional documents in the regulatory hierarchy. In the case of Type 1 Uses, most of the relevant information is included in the “Regulations related to the Enforcement of the Law concerning the Conservation and Sustainable Use of Biological Diversity through Regulations on the Use of Living Modified Organisms” that was discussed above. In fact, this Regulation (in Articles 7 and 8) includes the specific information that is needed to apply for permission for a Type 1 Use application, and includes as an appendix the form needed to make such an application (Form No. 1). These Regulations also specify which “competent ministers” have responsibility for Type 1 Uses. According to Article 40(1), jurisdiction for R&D would fall either to the Minister of Education, Science and Technology or the Minister of the Environment, and for activities other than R&D, the competent minister would be the one “who had jurisdiction over the production or circulation of the living modified organisms”, along with the Minister of the Environment”. These requirements are stated similarly to those for Type 2 Uses discussed above. As mentioned, uses of modified marine microorganisms (algae or cyanobacteria) would likely fall under the jurisdiction of MAFF. Although the “Regulations related to the Enforcement” includes the application form needed to apply for Type 1 approvals, one additional document includes further information relevant to such applications. This document is “The Guidance of Implementation of Assessment of Adverse Effect on Biological Diversity of Type 1 Use of Living Modified Organisms,” and in Sections 2 and 3 and Tables 1 and 2 of this guidance document, there are detailed lists of the information and data needed to create the “Biological Diversity Risk Assessment Report” that is required under the Law. Under the MAFF regulation from 2000 discussed above, algae would be considered as microorganisms, and the regulation specifies that “application of rDNA microorganisms in an open system” must proceed in a stepwise manner, with applicants first conducting a safety evaluation in a laboratory, followed by testing in an artificial microcosm before seeking approval for outdoor use. Again, it is not clear to what extent this regulation is still applicable in view of the legislative and regulatory actions which were adopted after its promulgation. It is likely that most or all the precedents for review and approval of Type 1 Uses of GMOs in Japan have been for field tests of transgenic plants. So it is hard to predict how the regulatory process would proceed for a proposed use of a GMO algae in an open-pond or similar reactor. As always, early consultation with the appropriate regulatory agency and/or Japanese partner(s) or attorneys would be advised. The following is a brief summary of aquaculture regulations in Japan and how they may apply to industrial uses of algae or cyanobacteria. This is necessarily a very brief overview, meant to convey general guidance as to what applicants might expect in the country. More detailed information is available at the websites linked below, particularly including the very useful Fact Sheets maintained for individual countries by the U.N. Food and Agriculture Organization (FAO), which can all be accessed at http://www.fao.org/fishery/nalo/search/en. According to the FAO page devoted to Japan, the primary law that regulates fishery activities is the Fisheries Law (1949, as revised in 1962), which is administered by the Ministry of Agriculture, Forestry and Fisheries (MAFF). However, in practice many responsibilities have been delegated to the prefecture governments. Within MAFF, the Fisheries Agency (FA) would be the primary agency with responsibility for aquaculture. According to the FAO site, there is no legal definition of aquaculture. However, the Fisheries Law defines fishery as “an industry which carries on gathering, taking or culturing of aquatic animals and plants”. It is not clear if this definition would include aquatic microorganisms like algae or marine cyanobacteria. Marine waters in Japan are divided into a number of sea areas for administrative purposes, and for the most part each sea area corresponds to the maritime zone of one of the coastal prefectures. Presumably, activities within such zones would be governed by the prefecture rather than the central government. As explained in more detail on the FAO page, the Fisheries Law created three principal categories of fishery rights, and of these, the category known as “demarcated fishery rights” are said to be applicable to pond aquaculture activities that occupy a defined and fixed site. To the extent the Fisheries Law applies to algae, it would seem that most potential uses of algae in aquaculture might fall under this category. These rights are granted by the prefecture governments, through the involvement of Fisheries Cooperative Associations (FCAs) which have been created to have responsibility for particular geographical areas and whose membership are local fishermen. The applicability of these provisions to algae or cyanobacteria are not clear. Consultation with MAFF or with partner institutions in Japan would seem to be advisable before planning activities with modified algae or cyanobacteria in that country. The regulatory body in Japan with authority over fuels is the Ministry of Economy, Trade and Industry (METI), and the governing law is the Law on the Quality Control of Gasoline and Other Fuels (the “Fuel Quality Control Law”: Japanese language version available here). According to the Japan transportpolicy.net site for diesel and gasoline, Within METI, the Agency for Natural Resources and Energy is in charge of enforcing the quality of gasoline, diesel and kerosene sold on the market through the authority of the Fuel Quality Control Law, and this law also established mandatory specifications for ten gasoline properties and three diesel properties. Although METI conducts its own fuel sampling and testing, refiners and importers are reportedly required to conduct their own tests of fuel quality. Japan does not appear to have any ethanol mandate, but there are laws relating to biodiesel. There are two quality standards for biodiesel fuels in Japan: a mandatory standard specified in the Law on the Quality Control of Gasoline and Other Fuels, which allows up to 5% biodiesel, and a voluntary Japanese Industrial Standard (JIS). The Ministry of the Environment apparently has a regulatory role over the biodiesel standards. This blog entry describes the possible ways in which uses of algae or cyanobacteria for fuel or chemical production might be regulated in Brazil. This entry is one of several posts that provide additional information in support of a poster I’m presenting at the 2013 Algae Biomass Summit on the regulations in various countries around the world that may be applicable to the use of naturally-occurring or genetically modified algae or cyanobacteria in fuel production. These include three general categories of regulation: biotechnology or biosafety regulations, aquaculture regulations, and renewable fuel standards or volume mandates. You can access the poster on my SlideShare site, and please refer back to my September 16 introductory post for links to posts on the regulatory situation in other countries. Although this discussion centers on algae and cyanobacteria, much of the discussion (other than the section on aquaculture) would be applicable to the use of other genetically modified microorganisms for production of fuel or chemicals. Brazil has ratified the Cartagena Protocol and has been active in oversight over agricultural and industrial biotechnology. Brazil has a national biosafety law (Law No. 11,105 of March 24, 2005, available here in either English or Portuguese). The law creates a national regulatory framework administered by the Biosafety National Technical Committee (Comissão Técnica Nacional de Biossegurança, known by its Portuguese acronym CTNBio), and the National Biosafety Council (CNBS), with the involvement of the Ministries of Health, Environment and Agriculture, the Special Secretariat of Agriculture and Fishery, and other agencies. CTNBio is a 27-member committee comprised of technical representatives from across the Brazilian government. The CTNBio website, in Portuguese but with some links to English pages, can be found here. Regulations implementing Law No. 11,105 were put in place by Decree No. 5591 of November 22, 2005. The Law and its regulations require that companies wishing to conduct commercial activities using GMOs or to test or use GM plants in the environment must seek the approval of CTNBio. Specifically, the Law requires approval for any activities involving the “cultivation, production, handling, transport, transfer, commercialization, import, export, storage, consumption, release and disposal of GMOs and their derivatives for commercial purposes.” Thus, unlike some national regulatory frameworks that are largely restricted to covering outdoor use of GMO plants, it is clear that the Law covers not only contained manufacturing but also the importation of GMO strains into Brazil. Under the Brazilian framework, all applications for use or importation of GMOs and for the registration of facilities for use with GMOs would be submitted to CTNBio. Decisions would be made by CTNBio, although the Law allows CTNBio to request that the CNBS render a separate decision on commercial requests “with regard to the desirability, suitability in social and economic terms, and the national interest”. The Law also provides for public comment on proposed approvals. Once CTNBio gives a positive decision on an application, the needed authorizations are issued by the applicable government agencies: the Ministry of Agriculture, Farming and Food Supply for activities involving animals, in agriculture, farming, and agroindustry; the Ministry of Health for activities relating to human and pharmacological use, and in household cleaning products and related areas; the Ministry of the Environment for activities with GMOs which are to be released into natural ecosystems, or for GMOs that are judged to potentially be a cause of significant degradation of the environment; and the Special Secretariat for Aquaculture and Fisheries for proposed activities in fishing and aquaculture. It appears that CTNBio’s review period for all applications under the Law is 120 days, but that the committee can extend the review period by up to 180 days. It is likely that all documents would need to be submitted to CTNBio in Portuguese, although this is not explicitly stated in the regulations. Confidential information would be protected, but it appears that CTNBio must first provide public notice of its intent to protect company confidential information. In addition, institutions using or conducting research on GMOs in Brazil are required to establish internal biosafety committees to oversee this work. Proposed uses of modified algae or cyanobacteria in contained manufacturing would likely require multiple approvals under the regulations. Not only would the proposed use need to be approved, but any laboratory or manufacturing facilities within Brazil would need to be reviewed and approved by CTNBio, and if the production strains were imported into the country that would likely require its own approval. There are precedents in Brazil for prior approvals for industrial biotechnology activities. These are two applications that were filed by Amyris for the use of genetically modified strains of S. cerevisiae (yeast) for the production of farnesene for fuel and chemical use. These applications each appear to have been approved by CTNBio within a review period of several months, following submission by the company of a fairly detailed dossier describing the organisms, their construction and proposed use, and a risk assessment of the proposed commercial application. Interestingly, it was determined that, following CTNBio approval, the permit would be issued and administered by the Ministry of Health – there is an explanation in the summary document accompanying this decision, indicating that the decision had to do with the “green” nature of the product. It is not known if this would create a precedent for applications from other industrial biotechnology companies to be treated in the same way. The provisions of Brazilian law and regulation have been written broadly enough so as to specify the needed procedures for any industrial use of GMOs, whether contained or in the open environment. There is quite a bit of precedent in Brazil for review and approval of environmental use of transgenic plants in agriculture, with applications reviewed by CTNBio as described above. All the “commercial approvals” for outdoor use of GMOs on the CTNBio website are all for transgenic crop plants and none appear to involve modified microorganisms. A proposal to use genetically modified algae or cyanobacteria in an open-pond reactor would presumably follow a similar regulatory path, although it would seem likely that the Ministry of the Environment would be the entity issuing the permit for an open-pond use, after review and approval by CTNBio. However, it is interesting that the Law explicitly provides for a different governing agency (the Special Secretariat for Aquaculture and Fisheries) for applications involving aquaculture, and it is not clear if this agency would have priority for an application involving modified marine algae. This may depend on whether algae would fall under applicable definitions of “aquaculture” – a question which seems somewhat unclear, as is discussed in the next section. The following is a brief summary of aquaculture regulations in Brazil and how they may apply to industrial uses of algae or cyanobacteria. This is necessarily a very brief overview, meant to convey general guidance as to what applicants might expect in the country. More detailed information is available at the websites linked below, particularly including the very useful Fact Sheets maintained for individual countries by the U.N. Food and Agriculture Organization (FAO), which can all be accessed at http://www.fao.org/fishery/nalo/search/en. The Special Secretariat for Aquaculture and Fisheries (Secretaria Especial de Aqüicultura e Pesca – SEAP) is the main authority for the management and development of fisheries and aquaculture in Brazil, although there may also be applicable state laws. However, according to Brazil’s FAO summary page, the legislative authority for this oversight is “fragmented” and so it is not always easy to identify the governing definitions. In particular, the federal Fisheries Code apparently does not specifically define aquaculture. But the FAO summary page says that applicable definitions are often found in secondary legislation. For example, Decree No.4,895 of 2003 describes aquaculture as the cultivation or breeding of organisms, whose life cycle develops, in natural conditions, totally or partially in an aquatic environment. Similarly, SEAP Normative Instruction No.3 of 2004 regards aquaculture as the cultivation, breeding or holding in captivity, with commercial purposes, of organisms whose life cycle develops, in natural conditions, totally or partially in an aquatic environment. Based on these definitions, it is possible that commercial cultivation of algae or cyanobacteria in open waterways would fall under national legislation, and would require authorization of some kind from SEAP. Commercial algae projects might also require environmental impact assessments under Brazil’s Environmental Policy Act. Brazil has the longest-standing national program to promote the use of ethanol in motor vehicle fuel. This national program, which dates back to 1975, not only mandated ethanol use in automotive fuel, but also provided for the infrastructure needed to support such use, including incentives for producing ethanol-powered cars and support for upgrading of gasoline stations to accommodate ethanol use. Until recently, Brazilian law mandated that gasoline have a minimum ethanol content of 25%, but this was reduced to 18-20% in 2010 in response to economic pressures. As of May 2013, the minimum blend percentage of 25% was reinstated. Brazil also has a mandate for 5% blends of biodiesel (“B5” blends), with the goal of reaching B20 by 2020. This was originated as a mandate for 2% blends that was adopted in 2005, and the current B5 mandate was established in 2009. Current and historical aspects of Brazil’s National Biodiesel Program are summarized in a report available here, and also at the very informative transportpolicy.net Brazil Biofuels page. Specifications for transportation fuels in Brazil are established by the National Agency of Petroleum, Natural Gas and Biofuels (ANP—Agência Nacional do Petróleo, Gás Natural e Biocombustíveis). A summary of the development of the country’s standards for diesel fuel can be found here, and information about biodiesel standards and promotional efforts can be found here. There is also useful information on the transportpolicy.net Brazil Diesel and Gasoline page. As of 2011, ANP was given responsibility for regulating ethanol supplies in fuel, and this agency has set specifications for fuel ethanol. According to transportpolicy.net, there are no environmental sustainability criteria required to be met by Brazil’s biofuel mandates, nor is there any required consideration of greenhouse gas emission reduction levels or indirect land use change. Perhaps the most significant requirement on fuel producers is that certain testing must be done to ensure that ANP’s fuel specifications are met for any fuel sold in Brazil. This blog entry describes the possible ways in which uses of algae or cyanobacteria for fuel or chemical production might be regulated in the European Union. This entry is one of several posts that provide additional information in support of a poster I’m presenting at the 2013 Algae Biomass Summit on the regulations in various countries around the world that may be applicable to the use of naturally-occurring or genetically modified algae or cyanobacteria in fuel production. These include three general categories of regulation: biotechnology or biosafety regulations, aquaculture regulations, and renewable fuel standards or volume mandates. You can access the poster on my SlideShare site, and please refer back to my September 16 introductory post for links to posts on the regulatory situation in other countries. Although this discussion centers on algae and cyanobacteria, much of the discussion (other than the section on aquaculture) would be applicable to the use of other genetically modified microorganisms for production of fuel or chemicals. The discussion of the situation in the European Union is in two parts. This blog entry discusses aquaculture and renewable fuels regulations, and the previous entry discussed biotechnology regulations. The following is a brief summary of aquaculture regulations in the European Union and how they may apply to industrial uses of algae or cyanobacteria. This is necessarily a very brief overview, meant to convey general guidance as to what applicants might expect in the country. More detailed information is available at the websites linked below, particularly including the very useful Fact Sheets maintained for individual countries by the U.N. Food and Agriculture Organization (FAO), which can all be accessed at http://www.fao.org/fishery/nalo/search/en. The inclusion of “protista” within this definition means that alien or locally absent species of algae would potentially be included. However, since cyanobacteria are prokaryotic, they would not fall within the Protista Kingdom and therefore would arguably not be covered by this definition or this Directive. Article 6 of the Directive requires member nations to establish procedures by which applicants proposing the introduction of an alien or locally absent species of aquatic organism to obtain a permit from the applicable national regulatory agency. Annex I of the Directive provides guidelines for the information recommended to be submitted to the applicable agency in such permit applications. In the European Union, the EU-wide directives are meant to be translated into national law in each of the EU member states. There may therefore be some nation-by-nation variability in the specific requirements of these laws, and so it would be advisable for companies contemplating activities in any given EU member state to identify the agency having regulatory authority and to consult with the agency in advance of any introduction of a novel or nonnative strain into the country. New fuels must meet the requirements of the Renewable Energy Directive (RED) and the Fuel Quality Directive (FQD) to count towards EU renewable target volumes. The RED was put in place to ensure that all the 27 member states of the European Union achieve specified targets for use of renewable fuels and reduction of greenhouse gas (GHG) emissions across all energy sectors, with specific requirements for the subset of fuels used for transportation. Its companion directive, the FQD, has additional, complementary requirements for GHG reductions within the transport sector. These directives place obligations on EU member states, but also create certain requirements with which developers or producers of renewable fuels must comply in order for their fuels to qualify as “renewable” under the regulations. The Fuel Quality Directive, EU Directive 2009/30/EC, which amended Directive 98/70/EC, was also adopted on April 23, 2009. It establishes the specifications (standards) for transportation fuels to be used across the EU. The Directive also requires that all fuel suppliers (e.g. oil companies) must meet a 6% reduction of GHG emissions by 2020, relative to 2010 baseline levels, across all fuel categories. This reduction in emissions could be achieved using any low-carbon fuel options, such as hydrogen or electricity, but it is generally expected that the use of biofuels will account for most of the targeted reductions. Although the obligations in the Directives to meet the specified targets are placed on national governments, these obligations are passed down to the entities that sell fuel to the public, as well as the companies that manufacture or import fuels for eventual sale in the EU. Specifically, there are defined requirements that a fuel and its production pathway must meet in order for the fuel to be considered a “renewable fuel” that qualifies to count towards fulfillment of the targets set in the Directives. The RED specifies that “renewable fuels” are not to be produced from raw materials obtained from land having a “high biodiversity status” or “high carbon content”. Furthermore, in order for a fuel to be considered as “renewable”, it must show a reduction in GHG emissions over the lifecycle of its production, such that the carbon intensity of the fuel is known and can be applied towards the national targets. The European Commission calculated default carbon intensities for a number of specific biofuel production pathways, which can be found in Annex V of the RED, and these can be used in reporting by regulated entities without providing any additional information to any national government. However, for fuel production pathways not included within this list, carbon intensities must be calculated using acceptable methods for developing life cycle analyses (LCAs). More importantly, renewable fuels must be produced sustainably: that is, in order for a fuel to be considered as “renewable” under the RED, it must be analyzed and certified to be in compliance with sustainability criteria established in the Directive. The required sustainability analysis incorporates, but goes well beyond, considerations addressed in typical LCAs. There are twelve different factors which must be considered in these analyses, including Local Food Security, Human and Labor Rights, Rural and Social Development, and others including lifecycle GHG emissions. The EU has established a requirement that any proposed scheme or methodology for conducting sustainability analyses under the RED must be certified by the EU before any fuel provider can rely on such a scheme to establish its eligibility. A number of such schemes that have been approved, which are listed here. Fuel producers can conduct these analyses themselves, or have them done by third parties, but in either case the regulations require that the analysis be verified by competent, independent auditors that follow international standards. Companies that are producing fuels that are included within the “look-up table” within the RED can rely on the carbon intensities specified in the regulations. However, companies developing a new pathway must not only conduct an LCA to establish the carbon intensity but must also have the fuel pathway certified as sustainable. On October 17, 2012, the European Commission proposed revisions to the RED and the FQD that embody some substantial changes to the EU’s approach to certain biofuels, specifically in proposing to institute incentives for the use of second generation biofuels that are not derived from food crops. This proposal, which has generated significant controversy both within the industry and also from other interested parties, was discussed in a post on my Biofuel Policy Watch blog. After many months of debate and consideration by parliamentary committees, the EU Parliament voted on September 11, 2013 to adopt a revised version of this amendment, which I have described in a new post on Biofuel Policy Watch . This version of the amendment must still be approved by the European Council before it can take effect, which is not expected until sometime in 2014 at the earliest. The discussion of the situation in the European Union is in two parts. This blog entry discusses biotechnology regulations, and the entry that follows will discuss aquaculture and renewable fuels regulations. Directive 2009/41/EC, which amended Directive 90/219/EEC and Directive 98/81/EC, on the contained use of genetically modified microorganisms (GMMs). This Directive regulates research and industrial activities involving GMMs under conditions of containment. Directive 2001/18/EC, which replaced Directive 90/220/EEC, on the deliberate release into the environment of GMOs, which applies to the experimental release of GMOs into the environment, such as in connection with field tests; and the placing on the market of GMOs, for example the cultivation, importation or transformation of GMOs into industrial products, such as the sale of seed to grow GMO plants or the use of products of genetically modified plants in food. Under the “contained uses” directive, applicants are required to assign a risk level to its organisms, to adopt containment measures appropriate for that risk level, and to notify a designated national agency before beginning operations. However, specific requirements in any given EU nation would be governed by national legislation or regulation adopted in conformance with the EU directive, so that national requirements in any given country may differ from, and may even exceed, the requirements of the EU directive. ‘contained use’ means any activity in which micro-organisms are genetically modified or in which such GMMs [genetically modified microorganisms] are cultured, stored, transported, destroyed, disposed of or used in any other way, and for which specific containment measures are used to limit their contact with, and to provide a high level of safety for, the general population and the environment. This definition appears to give an applicant proposing to use a GMM in Europe (called a “user” in the directive) a fair amount of leeway in determining that a system or process is “contained”, and what level of containment measures are called for. Article 4 of the directive requires the user to carry out a risk assessment of the GMM, using considerations set forth in Annex III of the directive. As a result of this assessment, the user would determine which of four containment levels is appropriate for the organism, after which the user would have the requirement to adopt appropriate containment measures in accordance with Annex IV of the directive. These requirements are similar to the U.S. NIH Guidelines and other international biosafety guidelines, and most microorganisms used for fuel or chemical production would qualify to be included within the lowest level of containment, “Containment Level 1”. Article 6 of the directive requires users to notify the “competent” national authority (i.e., the government agency designated in national legislation as having jurisdiction to enforce the contained use directive) before a facility is to be used with GMMs for the first time. Annex V specifies the information required to be submitted with such notifications, and for Class 1 organisms, the necessary information is fairly minimal. The EU Contained Use Directive should be viewed as providing general guidance and baseline requirements for member state governments to adopt national regulations for oversight There is at least one recent (and very comprehensive) summary of national legislation under this directive available online – it is a report published in January 2011 by the Netherlands Commission on Genetic Modification – it can be downloaded from this site. One example of a national law adopted in conformance with the EU Contained Use Directive is the law adopted in the United Kingdom, described in the portal site accessible here. Briefly, the UK law requires advance notice to the relevant agency before any work with modified microorganisms is to begin, as well as the submission of a risk assessment for the agency’s review. Article 4 of the Directive establishes that, for any proposed release, the applicant must prepare an environmental risk assessment, including the information specified in Directive, particularly including Annex III. This is a general requirement for any proposed open-environment use of a GMO. The Directive then goes on to specify procedures for review of proposed releases for research purposes (which it calls “deliberate release … for any other purpose than for placing on the market”) in Part B, and procedures for review of applications for commercial use (“placing on the market”) in Part C. In agricultural applications, Part B would apply to all field tests prior to commercialization of a plant or seed product, while Part C would apply to gaining approval for commercialization. For fuel or chemical production, presumably Part B would apply to pilot or even demonstration scale open-pond reactors where no commercial product is produced. Briefly, under Part B, applicants proposing R&D use or other noncommercial use of a GMO must notify the appropriate national agency and provide a dossier including the environmental risk assessment and a plan to monitor the proposed use in order to identify any potential adverse effects occurring as a result of the use. The competent agency has a defined period of time, generally 90 days, to make its decision, and the agency may provide the public with notice of the proposal and the opportunity to comment. The proposed use can only go forward upon receipt of written consent from the agency having jurisdiction. National governments are required to report to the European Commission and to other member states the approvals it gives for applications under Part B. Although the public and all EU member states have the ability to comment on any such actions, all decision-making authority rests with the applicable agency in the country where the research activity is to take place. Part C requires applicants to submit notifications to the competent authority in the EU member state where the GMO is to be placed on the market for the first time. In the context of the use of modified microorganisms or algae to produce fuel or chemicals, it may be worth noting that the definition of “placing on the market” is “making available to third parties, whether in return for payment or free of charge,” and that the notification requirement applies “before a GMO or a combination of GMOs as or in products is placed on the market.” One can argue that a GMO used to produce a product is not itself “placed on the market,” but it would be advisable to review the language of applicable national laws, and/or consult with legal counsel, to determine how a proposed use would be regulated in the applicable country. It is hard to imagine that most European countries would allow commercial use of a GMO algae or cyanobacteria, in open-environment production, without following the procedures of Part C of the Directive. Under Part C, the agency receiving the applicant’s notification dossier has a specified period of time to prepare a formal “assessment report” which includes its decision on whether or not to allow the GMO to be placed on the market. The assessment report is to be provided to the applicant, and then to the European Commission, which will share it with the other EU member states. Decisions on approvals for commercial use, which would apply throughout the EU, are subject to comments and “reasoned objections” from other member states, and the Directive includes provisions for how to deal with any such objections that have been raised. The Directive also requires the national authority to notify the public of each notification it receives and to publish its assessment report. The proposed commercialization cannot take place until there has been written consent from the agency to which the application was made, which presumably will not take place unless any objections arised by other EU member states have been addressed, although all member states have the ability to restrict the sale of the product in its jurisdiction if it becomes aware of data or other information affecting the conclusions of the environmental risk assessment. As is well known, the European Union has not granted any approvals under this Directive to use any genetically modified plant in commercial agriculture (i.e., for food use) and all such proposals have been controversial to some extent. I’m not aware of any proposed use of a GM microorganism that has progressed to an application for commercial use in Europe, so it is hard to know if any such proposal not involving food or feed use would engender the same level of controversy. As always, companies contemplating such activities should consult with the relevant government agency as far in advance of the proposed use as possible, to be sure all needed information is provided and the necessary procedures are followed. This blog entry describes the possible ways in which uses of algae or cyanobacteria for fuel or chemical production might be regulated in Canada. This entry is one of several posts that provide additional information in support of a poster I’m presenting at the 2013 Algae Biomass Summit on the regulations in various countries around the world that may be applicable to the use of naturally-occurring or genetically modified algae or cyanobacteria in fuel production. These include three general categories of regulation: biotechnology or biosafety regulations, aquaculture regulations, and renewable fuel standards or volume mandates. You can access the poster on my SlideShare site, and please refer back to my September 16 introductory post for links to posts on the regulatory situation in other countries. Although this discussion centers on algae and cyanobacteria, much of the discussion (other than the section on aquaculture) would be applicable to the use of other genetically modified microorganisms for production of fuel or chemicals. Canada’s biotechnology regulatory approach resembles that of the U.S., in that existing laws and regulations are used to regulate biotechnology in a product-specific way. Therefore, many products of biotechnology would be regulated in Canada under existing federal laws. In November 1997, Environment Canada (EC) issued biotechnology regulations under the Canadian Environmental Protection Act (CEPA), that are similar in scope and approach to the U.S. EPA’s TSCA biotechnology regulations, and which are meant to cover biotechnology products or microorganisms that are new to commerce in Canada and which are not regulated by other federal agencies. Among products that could fall under this law’s scope would be microbial strains used for biofuel or bio-based chemical production, or for manufacture of enzymes for use in biofuel production. My 2010 post described these regulations in detail, but the following is a brief summary. EC considers microorganisms as being potentially subject to these “New Substance Notification” (NSN) regulations if they meet the definition of “new substance”. The regulations define “microorganism” (in part) to be “a microscopic organism … classified in the Bacteria, the Archaea, the Protista, which includes protozoa and algae, or the Fungi, which includes yeasts …”. This means that both algae and cyanobacteria (classified as Bacteria) would be covered by the regulations. The law further defines a “new substance” as one intended for introduction into commerce that is not on the Domestic Substance List (DSL) as having been used in commerce in Canada between January 1, 1984 and December 31, 1986. The DSL for microorganisms includes about 70 naturally-occurring species, identified by ATCC accession numbers. Thus, if a microorganism on this list was used in commerce from 1984-86 in a way such that “its entry into the environment was unrestricted”, it is exempt from reporting; but all other microorganisms, regardless of make-up, are subject to reporting. In this way, the Canadian CEPA regulations are broader than those of the U.S. EPA, in subjecting a larger class of microorganisms to regulation, and it is important to note that the regulations are broad enough to include naturally occurring or classically mutated strains, if such strains had never previously been used in commerce. Under the NSN regulations, any person who manufactures or imports substances subject to notification must provide a notification package to EC, which contains certain information specified in the regulations. EC uses this information to conduct a risk assessment prior to entry into commerce. The required information is generally similar to the information the U.S. EPA requests in MCAN submissions under its TSCA regulations (EPA’s requirements are discussed in my previous blog entries from 2010). Information on the Canadian biotechnology rule is available at the biotechnology home page, and the New Substance regulations themselves can be found here. A Guidelines document that is similar to EPA’s “Points to Consider document” can be accessed here. CEPA published a fact sheet specific for biofuels, which is accessible here. The New Substance regulations are applicable both to contained uses and environmental uses of new microorganisms. The notification form which is to be used for submissions asks applicants to identify the “notification group” for the proposed use of the microorganism, and specifies the types of data that are needed for each notification group. The notification group “Introduction in a contained facility or for export only” would apply to contained uses of new microorganisms, and for these proposed uses, only the “Schedule 2” data (as summarized in the checklist in Part B of the form) would need to be submitted. Based on the information currently on the EC website, most of the notifications reviewed and approved to date have been for contained manufacturing uses. These have been described in my 2010 blog post on the Canadian regulations, which includes links to the various decision documents. There do not appear to have been any published decision documents or risk assessments in the time since my earlier blog post. EC’s review focuses on the potential for the proposed use of the microorganism to pose any risks to the environment or to human health. Proposed use of new strains of algae or cyanobacteria in open ponds would likely trigger a higher level of review by Environment Canada under the NSN regulations. There are several “notification groups” listed on the notification form that would apply to proposed uses of new microorganisms in the open environment. One such group would cover introductions of organisms “anywhere in Canada”, while others would cover only introductions into specified ecozones (one category for ecozones where the microorganism is naturally indigenous, another for ecozones where it is not). There are also notification groups for research field tests or for introductions “in accordance with confinement procedures”. Generally speaking, any notification for a proposed outdoor use of a microorganism would require the submission of the greatest amount of data with the notification, although this would be somewhat relaxed for research uses, or uses under “confinement”. As is the case with contained uses, EC’s review would focus on potential environmental or health risk associated with the proposed use. A few of the published risk assessments on the EC website appear to have dealt with proposed environmental uses of new microorganisms. Specifically, there are three approved notifications involving either agricultural microorganisms or microorganisms intended for use in bioremediation. It appears that this may be an area where EC has more limited experience than is the case for proposals for contained uses. The following is a brief summary of aquaculture regulations in Canada and how they may apply to industrial uses of algae or cyanobacteria. This is necessarily a very brief overview, meant to convey general guidance as to what applicants might expect in the country. More detailed information is available at the websites linked below, particularly including the very useful Fact Sheets maintained for individual countries by the U.N. Food and Agriculture Organization (FAO), which can all be accessed at http://www.fao.org/fishery/nalo/search/en. Aquaculture in Canada may be regulated under federal or provincial law. However, according to the FAO summary page for Canadian aquaculture regulations, the actual responsibilities for aquaculture have been delegated by the federal government to provincial governments. According to the FAO site, the provinces are responsible for “aquaculture planning, site leasing, licenses and approvals for aquaculture sites, aquaculture training and education, the collection of statistics, the promotion of fish and aquaculture products, and the management of the industry’s day-to-day operations” among other functions. The applicable federal law is the Fisheries Act of 1985. Although this Act does not define “aquaculture”, its definition of “marine plant” includes “all benthic and detached algae, marine flowering plants, brown algae, red algae, green algae and phytoplankton”, and so would appear that permits are required under Sections 44 through 46 of the Act for the cultivation or harvesting of algae, but possibly not cyanobacteria. Turning to some of the provinces, the Fisheries Act of 1996 of British Columbia defines aquaculture as “the “growing and cultivation of aquatic plants… or fish, for commercial purposes, in any water environment or in human made containers of water,” and moreover this law has a definition for “aquatic plant” identical to the federal definition of “marine plant”. This implies that algae would be covered under the provision for licenses, which reads “A person must not process fish or aquatic plants, or operate a plant in British Columbia or its coastal waters, unless the person holds a license issued for that purpose under this Part.” The FAO site also describes the Newfoundland Aquaculture Act (1990), which defines aquaculture as “the farming of fish, mollusks, crustaceans, aquatic plants and other aquatic organisms with an intervention in the rearing process to enhance production by regular stocking, feeding, and protection from predation” (emphasis added). Although algae is not mentioned by name, it could be considered to be covered by “other aquatic organisms”. As the regulations and their applicability to algae or cyanobacteria may vary from province to province, it would be advisable to consult with the applicable provincial government before establishing an industrial algae operation in Canada. In Canada, there are federal and provincial regulations mandating that fuels contain specified percentages of renewable fuels. The governing federal standards are contained in the Renewable Fuel Regulation, which establishes that, on average, the nation’s gasoline pool must include at least 5% renewable fuels (i.e., ethanol), and the “distillate pool” of diesel fuel and heating oil must include at least 2% renewable fuels. In both cases, there are provinces with the same or higher percentage mandate: Ontario requires 5% renewable content in the gasoline pool, while Saskatchewan and Manitoba require 7.5% and 8.5% renewable content, respectively. For the distillate pool, British Columbia has a 4% requirement while Alberta, Saskatchewan and Manitoba mirror the federal 2% requirement (the federal law includes an exemption for the Eastern provinces). The federal Renewable Fuel Regulation resembles the U.S. RFS in many ways, by placing its obligations primarily on the parties directly selling fuels to end-users and also in its creation of “compliance units” which operate somewhat analogously to the Renewable Identification Numbers (RINs) under the U.S. RFS. The Canadian system, however, poses much simpler compliance obligations for biofuel producers. “Renewable fuels” are defined in the regulations as ethanol, biodiesel, or fuels produced from “renewable feedstocks”, which in turn is defined to include a broad range of feedstocks including algae, so there is no need to conduct a life cycle analysis to show any required threshold level of reduction of greenhouse gas emissions as is the case in the U.S. In Canada, producers of renewable fuels are required to register with the government and to file annual reports, each of which requires only minimal amounts of information regarding the types and amounts of fuel that is being produced. Thus, the burden on companies using modified algae or cyanobacteria to produce fuels should be less onerous in Canada than in the U.S., although for companies using cyanobacteria, it may be worth clarifying whether Environment Canada considers “algae” to include cyanobacteria, as is the case with the U.S. RFS as administered by the Environmental Protection Agency. Although the Canadian federal regulations do not require any assessment of greenhouse gas emission reductions, it is worth noting that one province, British Columbia, maintains a low-carbon fuel standard that is analogous to the California LCFS. I have briefly described this province’s Renewable and Low Carbon Fuel Requirements Regulation (RLCFRR), which took effect in January 2010, in a blog post earlier this year. This law requires a 10% reduction in carbon intensity by 2020.